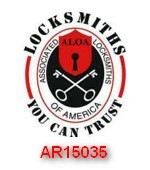 We are your turn-key residential lock specialist. We provide a full range of products from major manufacturers and install locks and door security products quickly and efficiently to keep your home and your family safe. Locks rekeyed, serviced, replaced, and intstalled. Keys copied, replaced if lost or broken. Doors repaired, reinforced, and replaced. Specialty locks for cabinets and furniture. Peepholes, door viewers, and door closers installed. Panic hardware and exit devices installed and serviced. Open locked cars and buildings. Custom padlocks for your special needs. Keys to autos, motorcycles, RV’s, and large trucks. Including transponder “chip” keys and “laser cut” style keys. Antique lock repair and keys made.